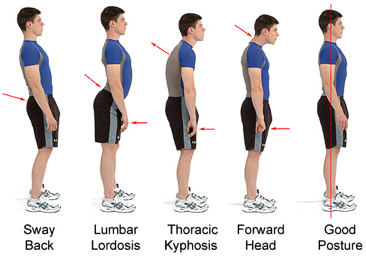 Hinterland Physiotherapy has the latest computerised postural analysis to detect any abnormalities in your posture. It involves taking two photographs of the client, which then gets downloaded onto our software. The software detects additional forces placed on the neck or lower back, and weight distribution. This then generates a posture score which can be objectively used to monitor changes in posture over time. OK, We’ve Discovered a Deficient Posture Profile, Now What? Following completion of your posture scan, your physiotherapist will explain what needs to be corrected. They will then generate an exercise program which is tailored to your specific needs which can be used independently to make a long term change to your posture. You may require specific manual therapy or soft tissue techniques in order to promote change and help improve your overall alignment. This is something your physiotherapist will discuss with you following your scan and they will generate a specific treatment plan based upon your needs. Following completion of your posture scan, your physiotherapist will explain what needs to be corrected. They will then generate an exercise program which is tailored to your specific needs which can be used independently to make a long term change to your posture. You may require specific manual therapy or soft tissue techniques in order to promote change and help improve your overall alignment. This is something your physiotherapist will discuss with you following your scan and they will generate a specific treatment plan based upon your needs.